● Current deals and discounts on featured products or categories are usually displayed on the main banner of the homepage. 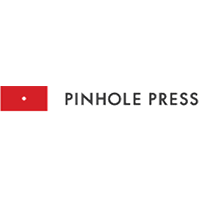 ● The Pinhole Press website also has a special section for coupons and contests where customers will find all active coupon codes offering deals and discounts, as well as ongoing contests that give away free gift certificates. ● Because merchandise sold over the online store are personalized, customers only have 30 minutes to cancel an order to get a full refund. Beyond that, a $25 cancellation fee will apply. ● Pinhole Press currently ships to the US and Canada via USPS. Pinhole Express offers a large, varied inventory of photo gift products. Visiting this website, you can shop for a range of cards, products concerning babies, products about kids, photo books, wedding products, and much more. You can use this website to make baby announcements, featuring photos of the child. You can also use this website to create unique items like the Memory Game, which lets you choose your favorite pictures, in order to come up with something your child is going to love. A wide variety of photo books are available through Pinhole Express, giving you the ability to create singular collections of essential photographs of family, friends, pets, and more. For most up to date offers check out Pinhole Press on Facebook and Twitter or contact Pinhole Press Support for any questions.